Juggernaut Film Fest with Gates McFadden & IST! 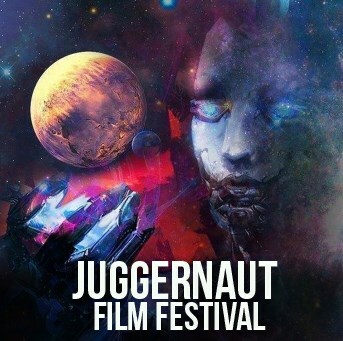 Improvised Star Trek is pleased to announce that we'll be making an appearance at the Kick-off to the 6th Annual Juggernaut Film Festival! Lovingly produced by our friends at the Otherworld Theatre Company, the festival is a two-day event (June 2-3) to celebrate Science Fiction and Fantasy films and filmmakers from around the world. The festival prides itself for bringing together the community- from cinema enthusiasts, filmmakers, artists, and casual movie-goers alike - to encourage and support these new and innovative stories in the cinematic arts. ​This year, the festival is hosted by Gates McFadden, famously known for playing Dr. Beverly Crusher in Star Trek: The Next Generation. Other notable contributions to the Science Fiction and Fantasy genre include choreographing for Jim Henson, most notably Labyrinth, The Dark Crystal, and Muppets Take Manhattan. Otherworld has kindly invited Improvised Star Trek to join in the festivities, and we're thrilled for an opportunity to share the stage with our favorite Space Doctor (sorry Phlox) and enjoy some great SciFi and Fantasy films. You can see the complete list of films, and buy tickets, at their website.